Reach for the stars! Become the man you have lived your whole life waiting to be. Be the man that you look up to, that you want your peers, your colleagues and your family to look up to. Even the tallest of men need a boost when reaching for the stars. Port Authority provides these inspiring men with the perfect wear to do so. With there will be no holding you back. Attention taller men! No longer have you awkwardly sized tops where the sleeves are too long but the mid-section is too small. Port Authority’s Tall Silk Touch Polo is the perfect fit for you, tucked in or tucked out this timeless classic is a must in every wardrobe. Its versatility gives endless options to how you can wear it. . It is perfect for team or group events, whether it be a schools active wear, a company trip, if you have a team of employees or volunteers, and need them dressed in a simple yet effective design? Why not have them wear Port Authority’s Tall Silk Touch Polo shirt. It is also favoured by many sports teams, especially tennis and golf teams as these items of clothing are both smart looking and comfortable. Its comfort is based on the superior wrinkle and shrink resistance and a silky soft hand all play a part to make this top a dream uniform for any occasion. 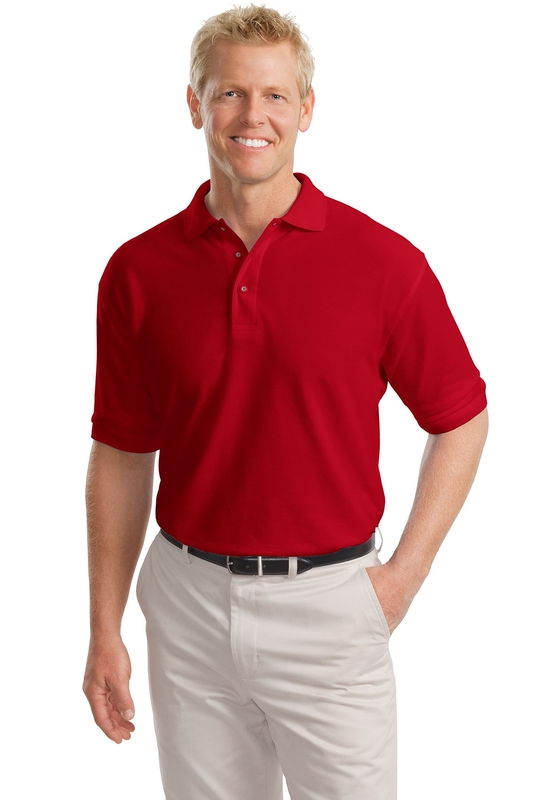 What makes Port Authority’s Tall Silk Touch Polo so popular is the super light 5 ounce weight, the soft 65/35 mixture poly/cotton pique, the stylish flat knit collar and cuffs, same colour matching buttons, double-needle armhole seams and hem finished with side vents which make this top comfortable in any climate. Tall sizes vary from LT, XLT, 2XLT, 3XLT and 4XLT. If you’re a tall man who always aims to do your best un each and every situation, do it in a Port Authority’s Tall Silk Touch Polo.